Click one of the commands in the Options menu. Right-click the task tray icon and select one of the commands from the Options submenu. 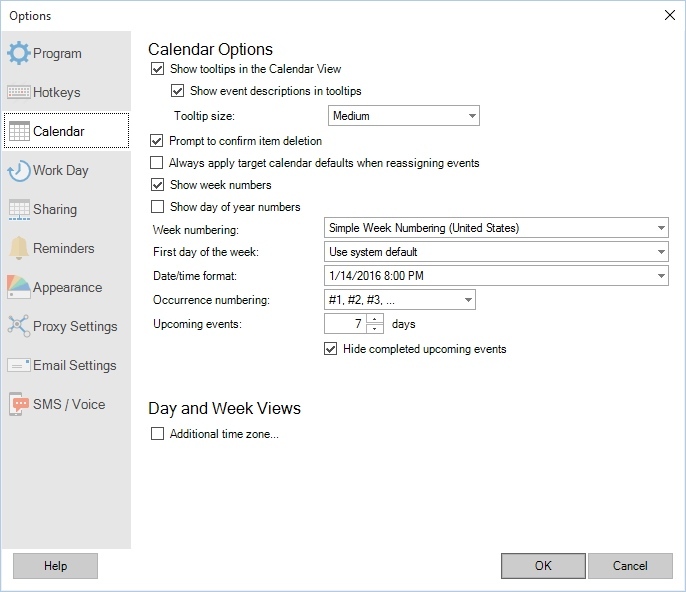 Click the Settings button in the Email, Text Message, or Voice Reminder settings for events or tasks. The options window enables various VueMinder options and settings to be modified. The options are categorized into tabs.